Literacy publisher MindPlay, Inc. has announced the results of a pilot program at El Paso Independent School District (EPISD) where 3,142 K-12 students used its CASE-endorsed online reading program. During the 2014-15 school year, after implementing MindPlay Virtual Reading Coach (MVRC), the number of participating students in the critical category for reading dropped 40% and the number reading at or above grade level increased from 112 to 522, with average program use of 20 to 30 hours. The 60,000-student school district has a significant low socio-economic population, including a high number of ELL students. Austin High School, one of 10 pilot campuses, among the 94 campuses in the El Paso district, reported a 41% drop in the number of critical students after using MVRC. The number of students meeting grade level reading started at 14 and grew to 96. One tenth grade ESL studentat this school began the MindPlay program reading at a third grade level. By April, she was reading at a ninth grade level. The program students used in classes to help improve reading performance, MindPlay Virtual Reading Coach® (MVRC), is a state standards aligned online program that helps students in grades K-12 learn to read. The pilot included 3,142 students who were either in general education at one of 10 middle or high school campuses, or were in special education at one of over half of the district’s campuses, including elementary schools. Participating students received online reading instruction three to five times a week. Teachers also used MindPlay’s RAPS 360 (now called Universal Reading Screener) to monitor student progress. With 10 percent of the district’s students in Special Education, Howard appreciated that MVRC provides individualized instruction for every child. According to Howard, students with special needs often require more repetition than a teacher can provide during the time they have in class. 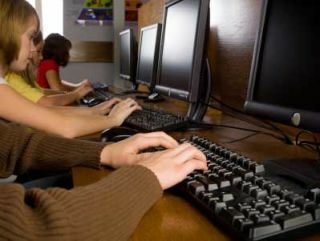 With MVRC, the special education students worked at their own pace on the computer and could have lessons repeated as needed. Sixth-grade students with dyslexia at Wiggs Middle School improved up to three grade levels in reading. It took a lot of hard work and patience from special education and dyslexia teacher, Mary Lou Parker, and the struggling students. The MVRC reading program on the computer gave the teacher another resource to alternate with her own lessons. She found the “mistakes report” in the program very helpful to review to see where they were having trouble and then put them back on the computer to work on those skills. Parker used printable reports from MVRC to communicate progress to parents.